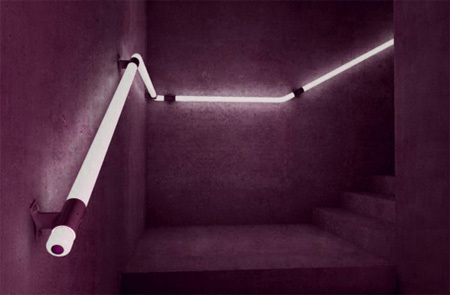 Designed by Zoran Sunjic from Croatia, this creative LED staircase handrail system guides people through dark spaces both physically and visually. 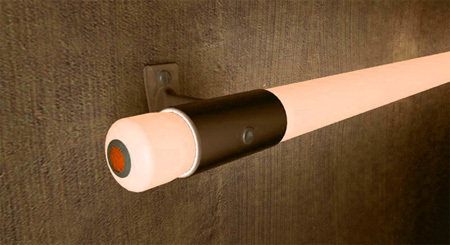 In addition to looking cool, LED handrails would also eliminate the need for bright lights in places that are not used as frequently. 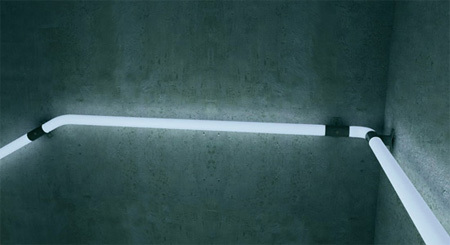 Looks like long lightsabers haha. Kinda scary though. I’m sure Health & Safety will approve! These all look like photoshopped versions of a standard handrail. A simple on/off button at the top and bottom of the rail would make this great for midnight trips to the fridge. Then it’s cool AND practical. creative. simple. beautiful. I love it! This doesn’t look right. LED light is very directional… you can’t get the soft glow effect in these photos using this lighting technology. If LED’s were used, you would see distinct points of light at regular intervals. gorgeous. I wish I could have that in my house. Its simply awesome and innovative !!!! 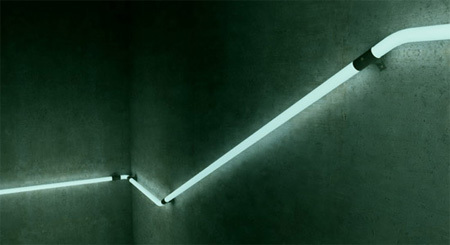 I designed a staircase handrail for our homein the early 90’s but didn’t even consider using lighting as a medium. This is SO cool. Absolutely awesome! @ Geoff What if you were using some kind of defuser? it would be cool if it had a sensor so whenever someone passed the top or bottom of the stairs it would come on. saves energy. It has good potential everywhere! In a small application (such as the tooth brush mentioned above) a diffuser would work, but probably not when trying to create a continuous effect. Look at the picture; notice that the light radiates 360°… I don’t think a diffuser was used here. This is a neat idea… but my guess is that fluorescent lights were used. can someone tell me if it’s possible to use it like a public space handrail? can it get wet? What is Geoff talking about! Colour changing Fluorescent??? 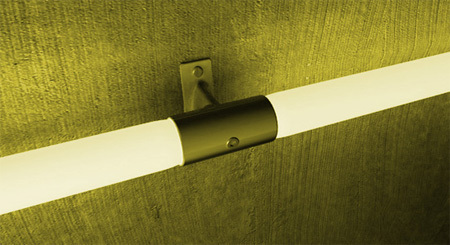 I would like to see you try that one mate…Of-course they are LED’s, Ive done this loads of times into handrails etc….The key to it all is using a semi translucent acrylic tube (milky colour),,,spreads the light evenly and looks just perfect. Flourescent! !, I’m still laughing about that! i wonder if it can withstand any force…. such a simple idea, wish i could see more of this!